' HP Day 2: The things I learned from Harry Potter - Sisters, What! 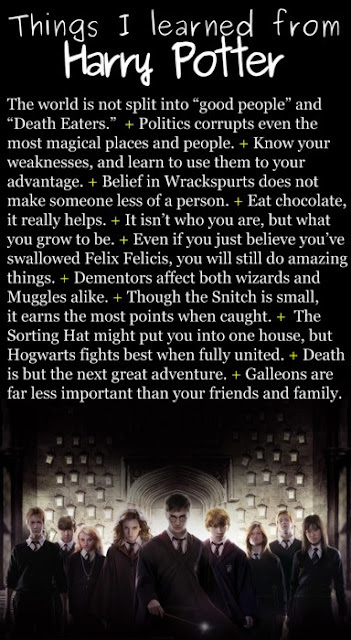 So many great lessons taught in Harry Potter...no wonder its so great! Love the Harry Potter month! Can't wait to see the rest of the posts. There are so many great quotes from Harry Potter. Jo Rowling is wise to include some of the things she's learned in her life. One of my favorites: "It is not our abilities that show what we truly are -- it is our choices"